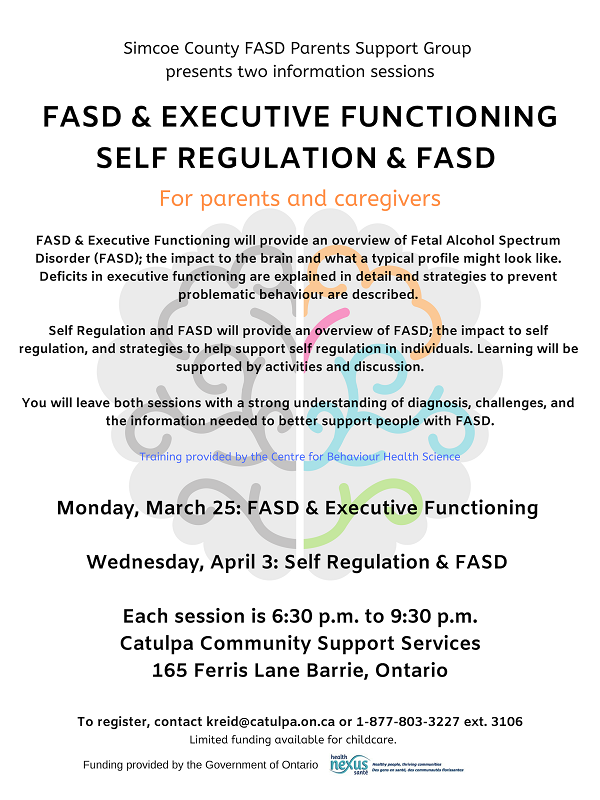 All parents and caregivers are welcome to attend this free information session about self-regulation and FASD. Contact Kathryn Reid at 1-877-803-3227 ext. 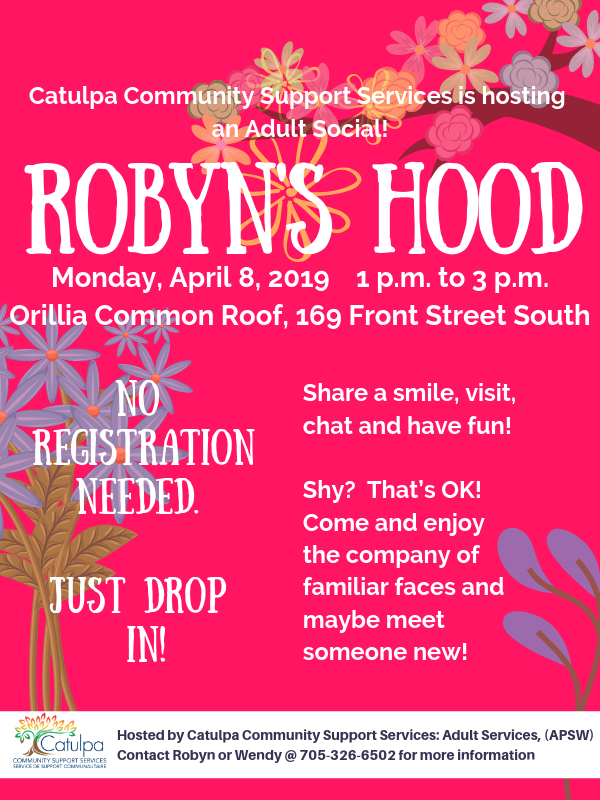 3106 for more information or to register.